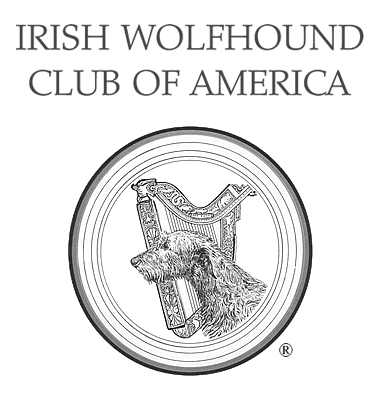 Activities for You and Your Wolfhound - Irish Wolfhound Club of America, Inc.
Irish Wolfhounds are capable and eligible to participate in a wide variety of activities. They participate in obedience, agility and rally competitions, lure coursing, racing, tracking and therapy dog work. Conformation showing is open only to non-neutered dogs and essentially measures how closely an Irish Wolfhound conforms to the official AKC breed standard. Here's a link to the AKC Conformation Schedule of Points. The AKC has a short explanation of the many event types they sponsor on their website. Not all hounds do well in every one of these events, but if you can find one or more that both you and your dog enjoy, you will have many hours of rewarding companionship and a deeper appreciation of the special qualities of this breed. Teaching your hound manners and basic obedience commands will make him or her a comfortable companion and good citizen. Owners often hear the questions "Is that a horse?" or "Where's his saddle?" Because of their long and very flexible spines, Irish Wolfhounds should never be ridden. Likewise, as strong as an IW may be, they are not designed for pulling or carting, as are other breeds like Bernese Mountain Dogs and Rottweilers. This page was last updated 02/05/2019.